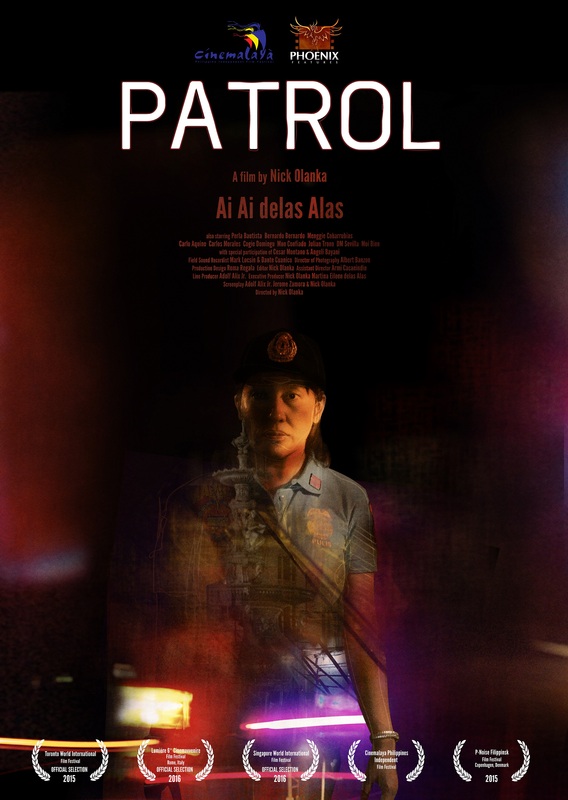 Ronda follows the journey of Paloma, a policewoman who patrols the streets of Manila at night. She is looking for her teenage son who has been missing for days. As she searches, she discovers truths about herself and the corrupt system she works in. Throughout the film, there are snippets of radio broadcast. The film is set while Former Philippines President Gloria Macapagal-Arroyo was being charged for plunder. Paloma, whose surname is Arroyo, like her namesake, is a woman in power who has lost control. She maintains a strong facade even though her world is crashing around her.